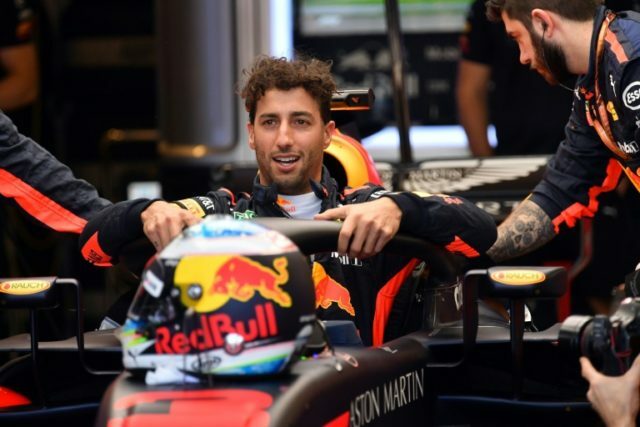 Manama (AFP) – Daniel Ricciardo made a statement of intent when he topped the times in Friday’s opening free practice for Sunday’s Bahrain Grand Prix. The Red Bull driver took over as fastest man with 15 minutes of the 90 remaining and stayed on top three-tenths of a second clear of Finns Valtteri Bottas of Mercedes and Kimi Raikkonen of Ferrari. German Sebastian Vettel, winner of the season-opening Australian Grand Prix, was fourth for Ferrari ahead of defending champion Briton Lewis Hamilton in the second Mercedes, the two four-time title-winners. Australian Ricciardo, third on home soil in Melbourne, has said he hopes to challenge for victory in Sunday’s race and he made a solid start in hot conditions at the Bahrain International Circuit. Hamilton made a mistake on his flying lap using his fastest tyre and missed out on regaining top spot after leading the way in the first hour. Frenchman Romain Grosjean of Haas was sixth ahead of compatriot Pierre Gasly in a Toro Rosso and Spaniard Carlos Sainz in the leading Renault. Dane Kevin Magnussen was ninth in the second Haas ahead of German Nico Hulkenberg in the second Renault. Dutchman Max Verstappen was unable to clock a competitive time after suffering a gearbox problem in his Red Bull in the opening minutes of the session. It was a tough session for the revived McLaren team who were testing new aerodynamic upgrades, two-time champion Spaniard Fernando Alonso winding up only 11th fastest.